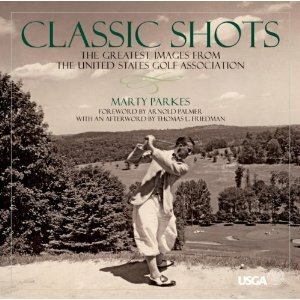 Loaded with classic golf photographs. From C.B. Macdonald, Bobby Jones and Babe Zaharias to Phil Mickelson, Tiger Woods and Michelle Wie this book presents a photographic history of golf. Many of the old photos were taken at the historic old courses we revere so much today. Merion Golf Club, Interlachen, Cypress Point . . . you will find them all here somewhere. Great for any golf book collection and a great coffee table book.